Bringing It All Together To Improve Care Team Efficiency. At Mobile HeartbeatTM we’re driven by a single goal: empowering clinicians to deliver better care at a lower cost by transforming clinical communications and collaboration. Our award-winning Mobile Heartbeat CURE (Clinical Urgent REsponse) technology gives clinicians what they want and need simple, secure smartphone access to their patients, other care team members and clinically relevant patient information—no matter where they are. Our solutions dramatically improve clinical workflows across the enterprise, freeing clinicians to focus on what they do best: care for their patients. But Mobile Heartbeat isn’t just about building great products; we’re also proud of the relationships we’ve forged with some of the leading health systems in North America. We combine their clinical insights with our deep expertise in enterprise communications and data security to drive continuous innovation that is reshaping the way caregivers work. Mobile Heartbeat is a wholly owned subsidiary of Hospital Corporation of America (HCA), further proof of our ability to positively impact care quality and efficiency. More than 200,000 users in over 200 hospitals nationwide rely on Mobile Heartbeat solutions. 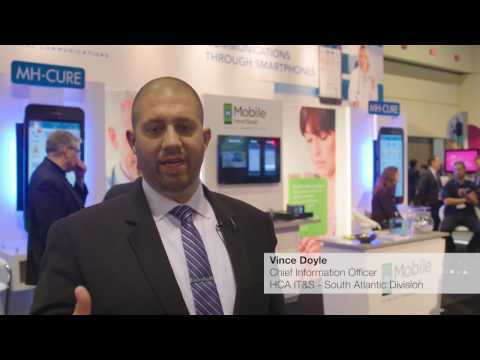 Mobile Heartbeat™ uses secure smartphone software solutions to transform how clinical care teams communicate and collaborate. Our healthcare communications solutions streamline clinical workflows to accelerate decision-making, improve patient care and reduce costs. Mobile Heartbeat™ integrates high-quality voice and secures messaging with patient-specific medical records, lab results, nurse call, telemetry, notifications, and more in a single, intuitive application on each care team member’s smartphone.